Curtains and sheers soften the feel of a room, offer acoustic advantages and are insulating. 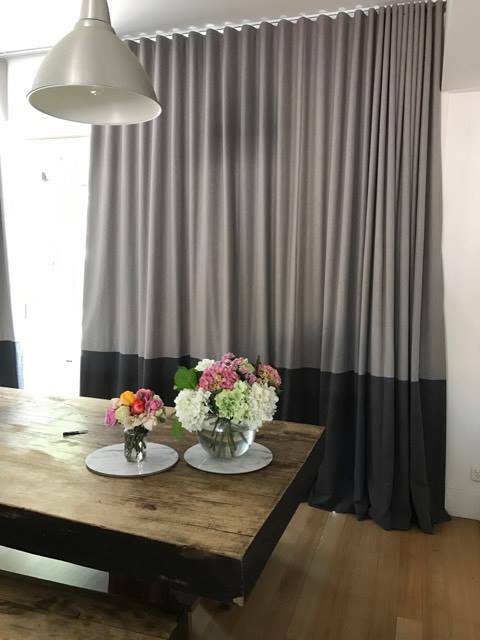 Our aspiration is to deliver a quality made drape using Australian and European fabrics to suit a range of styles and budgets. Décor rods and track systems are available to create your desired look. Fabric houses supported include: Mokum, Charles Parsons, Warwick, Zepel, Marco, Unique Fabrics, Wortley Group, Designers Guild, Slender Morris, Profile Fabrics, Wilson Fabrics and more. Popular now: Linen sheers with separate coloured linings on a small décor track. The heading style of your curtains, or the way it is sewn at the top, has an important bearing on the overall look as well as practical considerations. The most popular headings are 'S' Fold, Wave and Pencil Pleat. Not sure what works best in your space? We can help!